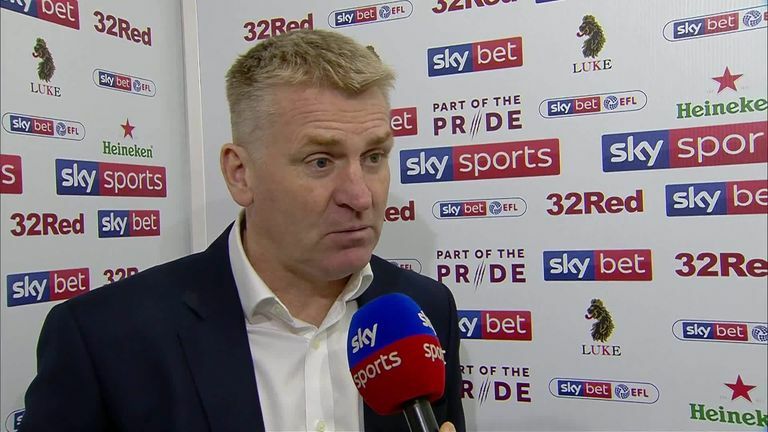 Dean Smith criticised referee Tony Harrington and his team after a number of controversial decisions went against Aston Villa in their 3-3 draw with Sheffield United. 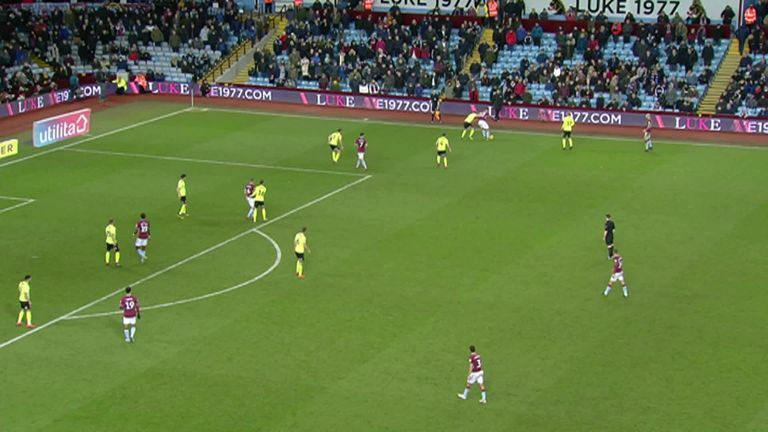 Despite falling behind in the 11th minute of Friday night's Sky Bet Championship clash when Billy Sharp's strike was confirmed by the Goal Decision System, the striker's second of the night raised eyebrows after an apparent foul on goalkeeper Lovre Kalinic and undetected offside decision in the build-up. 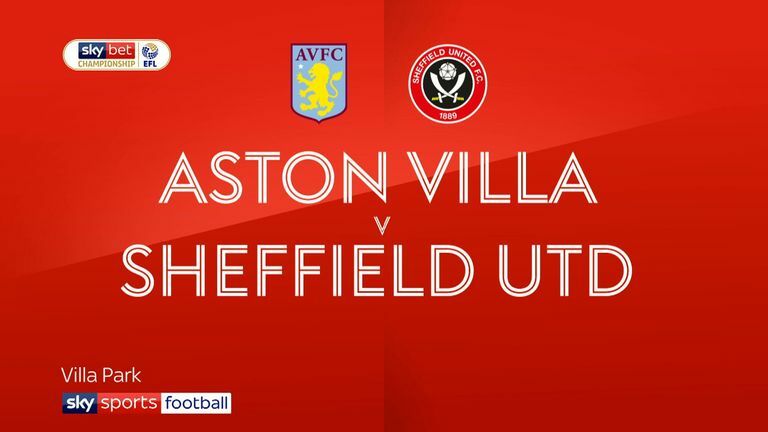 Though Sharp later completed his hat-trick, Villa somehow managed to muster the strength to secure a draw in the final minute of stoppage-time, though Smith felt aggrieved his side weren't awarded a penalty after Chris Basham appeared to foul Tyrone Mings. At full-time, the Villa boss spoke to Sky Sports and did not hold back with his opinion on the level of the game's officiating. "I thought we finished the first half the better team in the last 15 minutes and were threatening and wanted to start the second half exactly the same," he said. "We did that and then they break and score a goal that shouldn't have stood. Then it's a difficult place to play against a team that are doing really well, they break, score another goal and, to be fair to the lads, they kept going all the way through. "In the last 10 minutes, they were incredible. The spirit they showed to get three goals and we should have had a penalty as well. Unfortunately the officials didn't do their jobs tonight. "I've just seen it since and Billy Sharp was offside as well from the initial cross and he [Kalinic] has got it in both hands. Anywhere else on the pitch, they give a foul for that, don't they?" However, he reserved praise for his squad for the manner of their comeback, with the game looking like a foregone conclusion for the lion's share of the second half. He added: "I'm standing there after 80 minutes, the game looks like it's petering out and I'd have said they thoroughly deserved to win because we can't give teams like Sheffield United a 20-minute head-start like we did today. "We've got a lot of character and spirit in that dressing room and they showed that in the last 10 minutes today. I'm hoping that reignites the flame. We've got a lot of teams above us coming to Villa Park and they'll know it's a difficult place to come."